This unique handbook provides a vivid multidisciplinary dimension through technological perspectives to present cutting-edge research in the field of natural coloration and finishing. 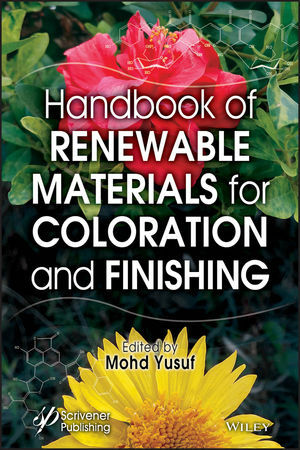 The 20 chapters are divided in to four parts: Substrates for coloration and finishing; renewable colorants and their applications; advanced materials and technologies for coloration and finishing; sustainability. Mohd Yusuf received his PhD from the Jamia Millia Islamia University, New Delhi, India in 2013. He is now an Assistant Professor at D/O Chemistry, YMD College, M. D. University, Nuh, Haryana, India. He has published more than 40 publications including research and review articles, as well as book chapters in edited volumes.